Any designs shaped into gravestones represent the opinions and sentiments of the deceased, as well as those who knew him/her. These carvings include religious symbols about the hereafter, representations of life’s fleeting nature, and the life led by the departed. When coming upon unknown illustrations interpretation can be hard due to divergence between time periods and regions. Additionally, gravestone carvings can have duel meanings. For example, logs are often found at both children's gravestones and Woodsmen of the World member's gravestones, but have very different meanings. At a child's grave, the trunk represents a life cut short, but for a Woodsmen of the World, the tree represents equality. 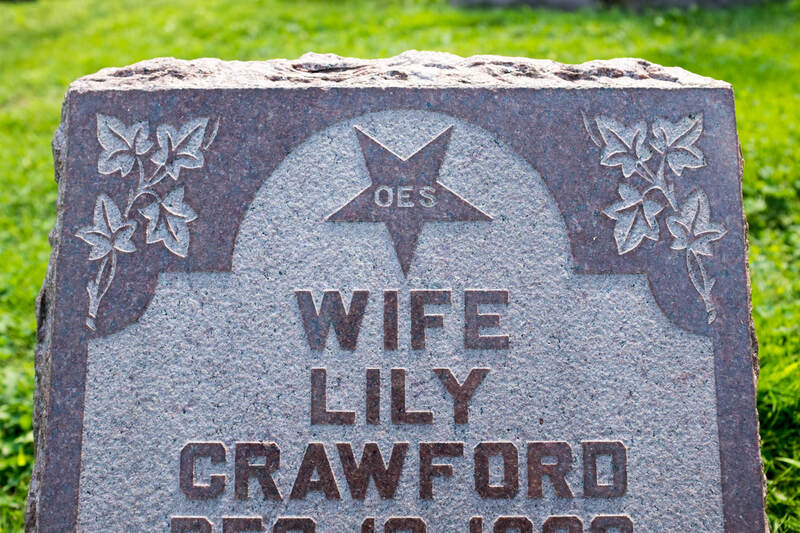 It is important to look at additional clues, such as epitaphs and dates. Further clues can also come from supplementary symbols. As you explore the virtual exhibit, keep these symbols in mind, hopefully they will bring further insight into any individual laid to rest. The Independent Order of Odd Fellows (IOOF) is represent through three linked chains, which mean faith, love, and truth. 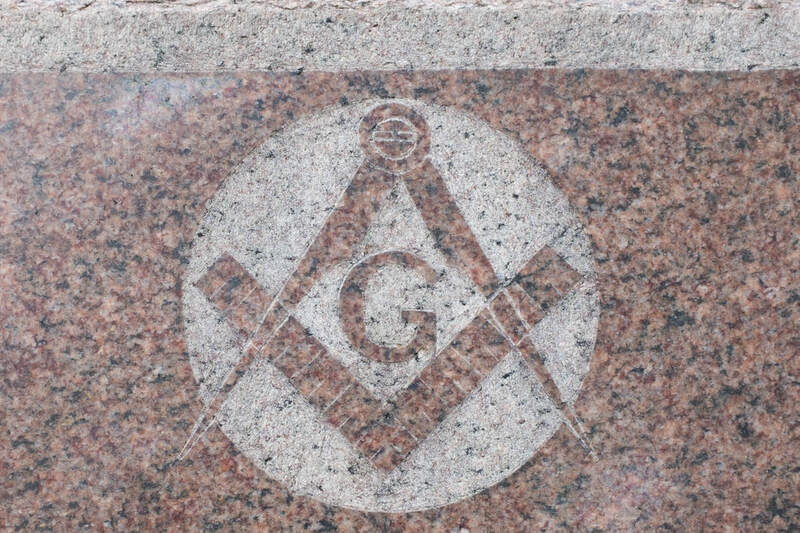 The Freemason's carved symbol includes a compass, a carpenter's square and a capital G. Since much of the Freemason history and symbolism is shrouded in mystery, the exact meanings of these carvings are unknown. For example, the G is thought to represent either geometry or a Christian God. 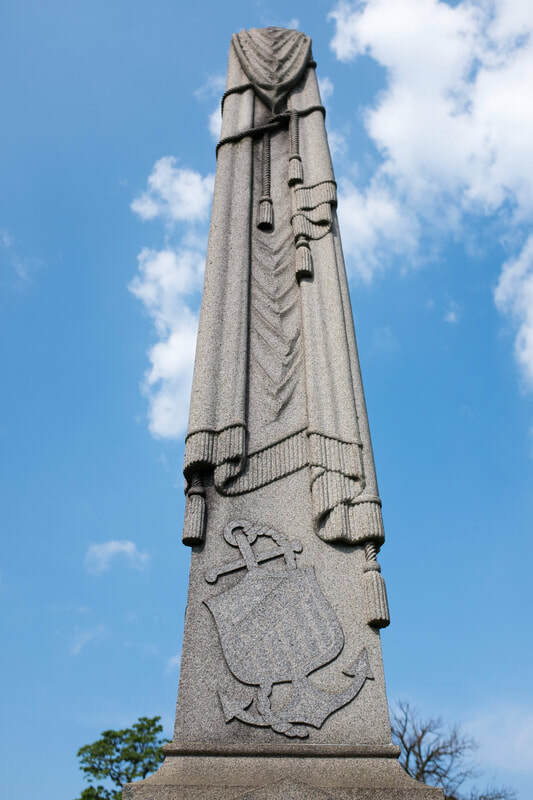 The Order of the Eastern Star (OES) is the female counterpart to the freemasons. If the bottom of the star tip is pointing at a grave, the individual was a member. ​The Woodmen of the World (WoW) are often present in sculpted tree stumps, which represent equality. 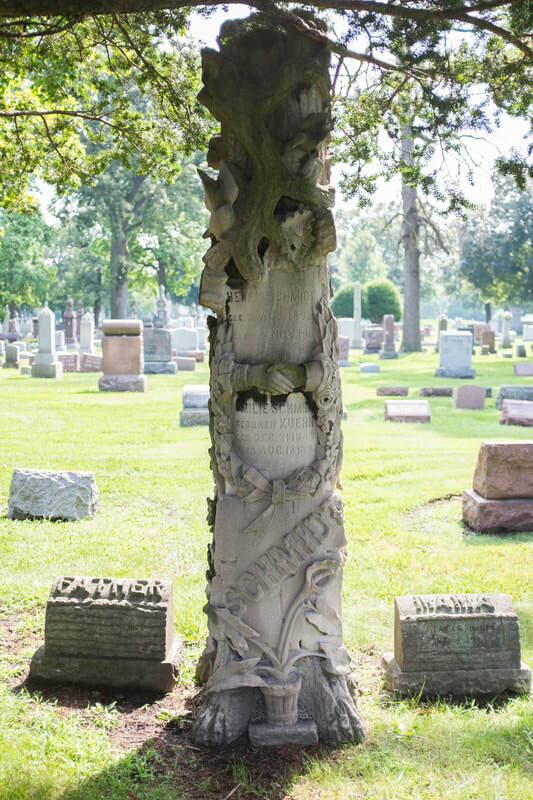 Before the 20th Century, every membership included a tombstone, though, in more recent times, their motto still includes "no woodman shall rest in an unmarked grave." 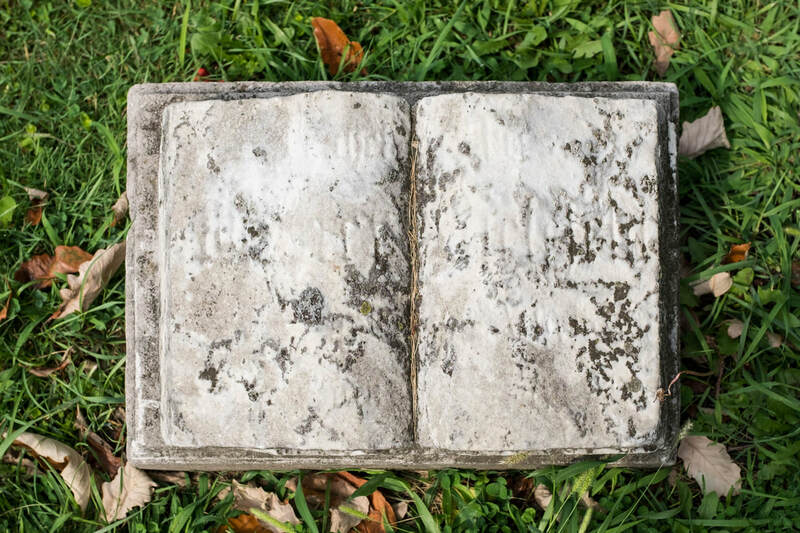 Download + Print your own little booklet on cemetery symbolism for your next trip to the cemetery. Learn how to fold it! A book often represents the human heart, which, for centuries upon centuries, was believed to be where the soul and personality of an individual resided. 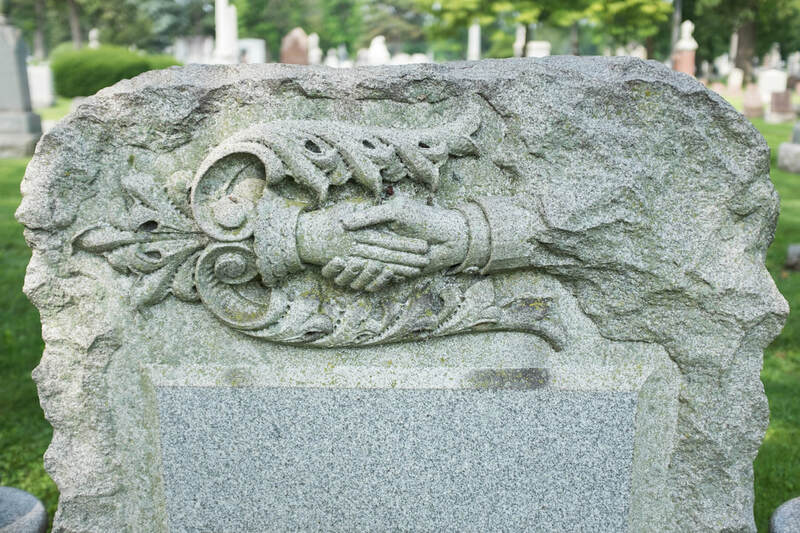 A handshake represents a "heavenly welcome or an earthly farewell." One distinguishing characteristics between handshakes are the sleeves, which denotes specific relationships. For example, some sleeves include traditional wedding attire. The wreath, often depicted more specifically as a laurel wreath, celebrates eternal life, and thus "victory over death." The laurel wreath is still in use today for Olympic medalists. 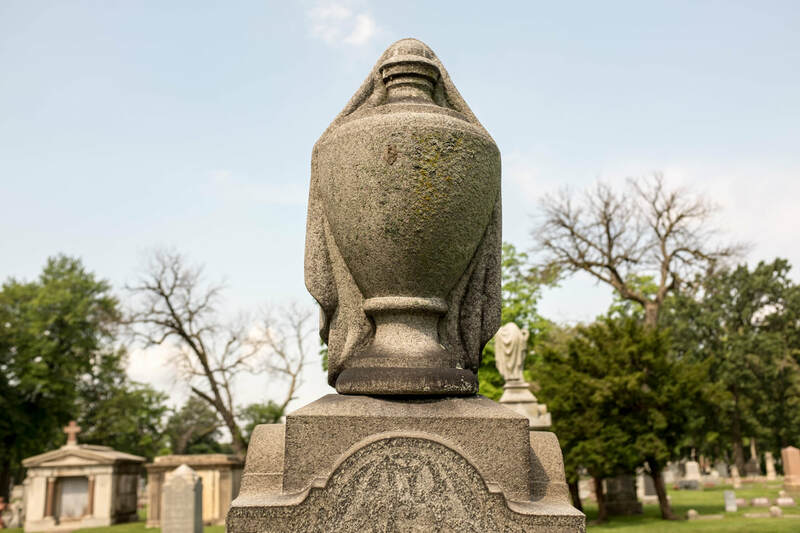 Any draping found on both urns and obelisks represent the "veil between earth and heaven." 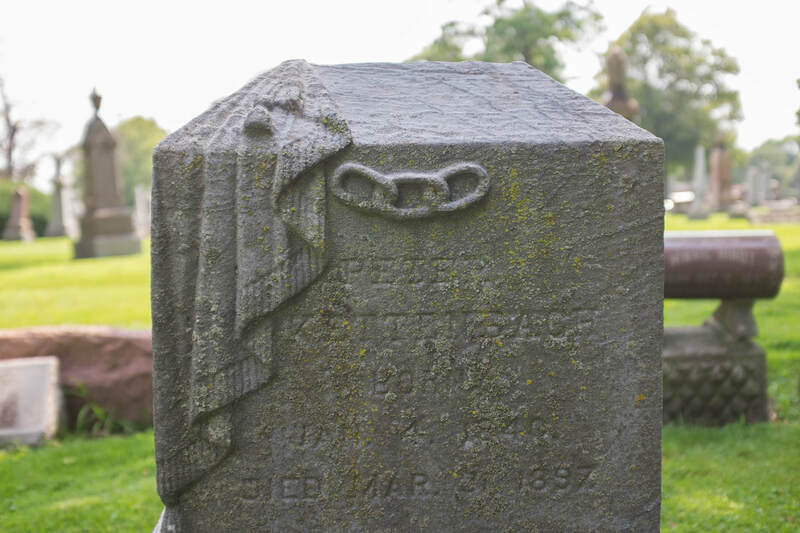 Drapery has been used extensively throughout history in burial practices involving objects, family, and the deceased. 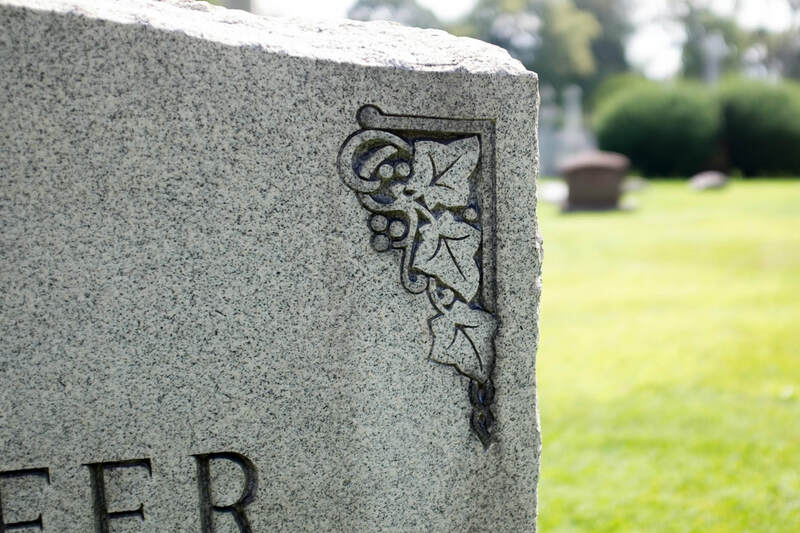 ​Information gathered from Tombstones of Your Ancestors by Louis S. Schafer, and Stories in Stone: a Field Guide to Cemetery Symbolism and Iconography by Douglas Keister. Ivy, due to it's vitality and clinging nature, represents eternal life and everlasting love. The calla lily represents beauty and marriage. 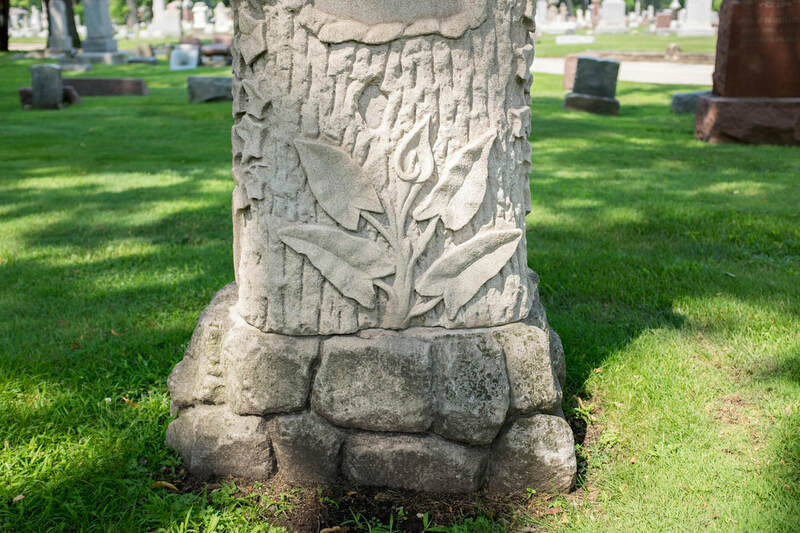 It is important to note that all graves bearing the calla lily are found no earlier that mid-19th century, after they were first imported to America. Much of the oak leaf symbolism comes from the potential of the acorn. While the acorn, itself, is not always present, its diminutive size, but potential to grow into a majestic, and towering oak tree, shows its power. It is a seed that represents the possibility of growth, as well as abundance. The obelisk's existence in cemeteries comes from a resurgence in interest in Egyptian culture at the time. The obelisk, itself, embodies a ray of sunshine.